Today is not one of those days. 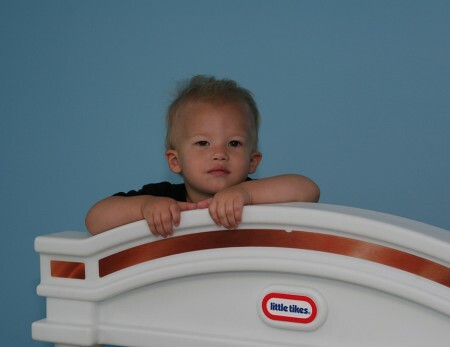 I am not feeling well so my patience was lower than normal making it more difficult to manage the chaos and it’s as if the boys could sense my exhaustion. A calm breakfast was interrupted by a plate of pancakes, syrup and blueberries being launched across the kitchen. Blueberries scattered in every direction, at least the syrup was contained to a small area. They sat quietly coloring until suddenly they were both standing on the table kicking crayons to the floor. That put an abrupt end to coloring time. We have at least 100 Matchbox cars and trucks and a large collection of other vehicles and they both only wanted to play with the orange truck today. Cue more fighting and tears. I wish that I could close them in the playroom and walk away when I need a break, but I only leave long enough for a quick bathroom break. 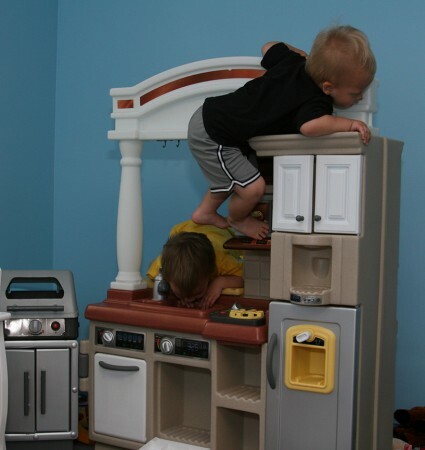 They get into trouble much too quickly. 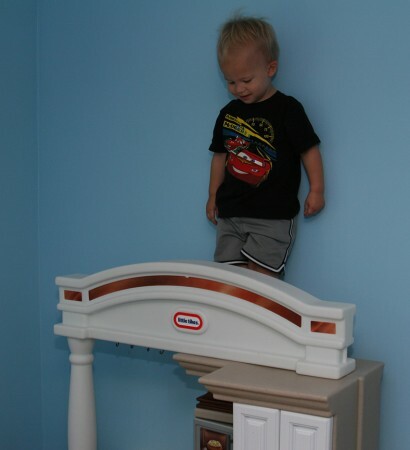 And then there is the climbing. 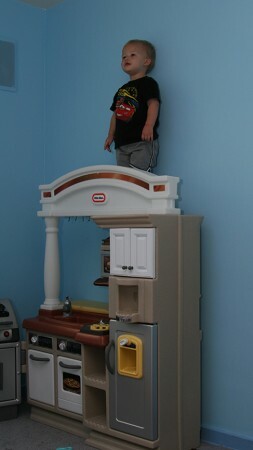 The play kitchen has become the most recent climbing toy especially for Ruslan. 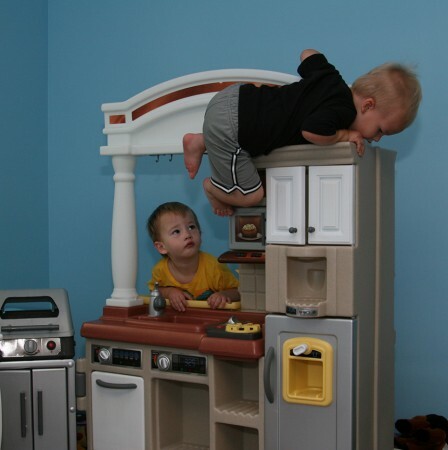 Wyatt is not quite as fearless – see the look on his face as Ruslan is starting to climb higher. 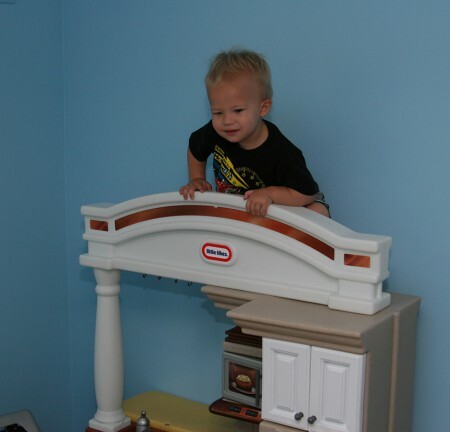 Ruslan has no fear – I need to get him in a gymnastics class or something…are their rock climbing classes for toddlers?